The meeting had the objective to clarify and share ideas on the project to the delegations gathered from all over the world and to assess their commitment to be full part of the project. Caroline Dominguez, as the Coordinator of the CRITHINKEDU project, shared her reflections to the participants with a presentation entitled “Lessons learnt from the CRITHINKEDU project“. 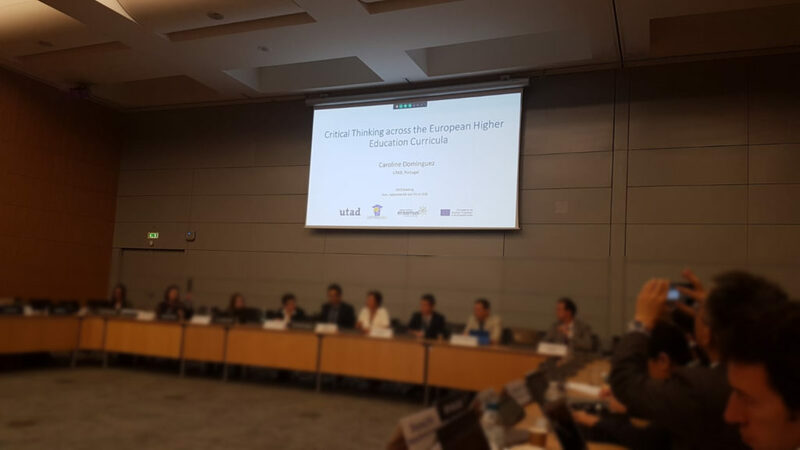 Daniela Dumitru made a presentation entitled “Critical thinking and teaching critical thinking” on the theoretical foundation of the project.